When we dine out we usually head for restaurants that serve Japanese cuisine, and though we go to the usual few places, we are always open to trying out new places as long as they offer yummy Jap food at affordable prices. As such, I got to be honest and say that I was looking forward to attending the food tasting at Restaurant Hoshigaoka just to see what this family restaurant had to offer! 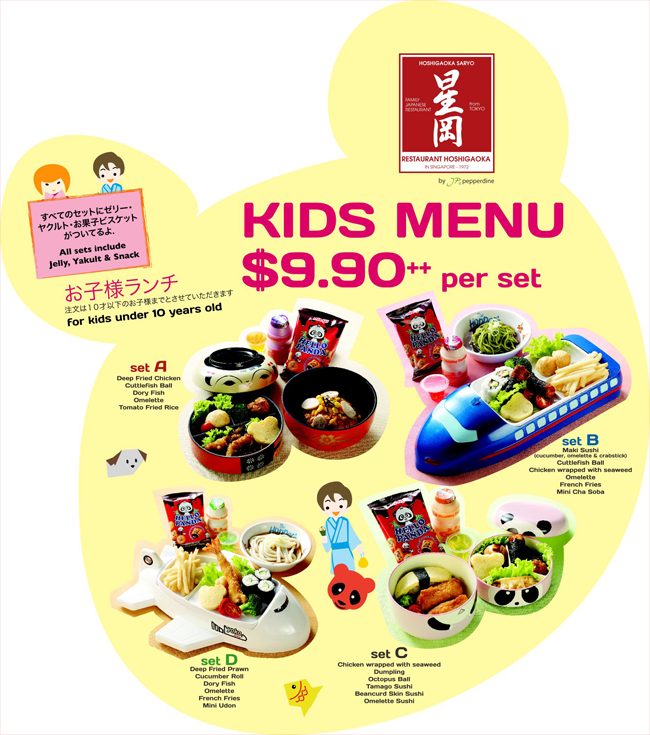 Having been serving traditional Japanese food in Singapore for the last 40 years, Restaurant Hoshigaoka has recently launched a redesigned menu with five new signature dishes and a kid's menu! Hooray for kid's menu! I used to love kiddy sets and how kawaii they are that I would even try my luck at ordering them when I was in my teens. So when I heard about a kid's menu, I knew Kaitlin would totally love it! Kaitlin was pretty excited when her food came, and just wanted to go ahead and open it that I had to act quickly to snap some pictures! It definitely was a little treat for the babygirl as I usually pack food for her when we dine out. So when we dine out at Jap restaurants she goes for the Tamago sushi and Chawanmushi. However that day, she got to eat whatever was in the bento! Needless to say, she was happy about being able to have yakult! She had her tamago sushi and enjoyed the inari sushi and gyoza as well. What was even more awesome was that she ate the veggies! 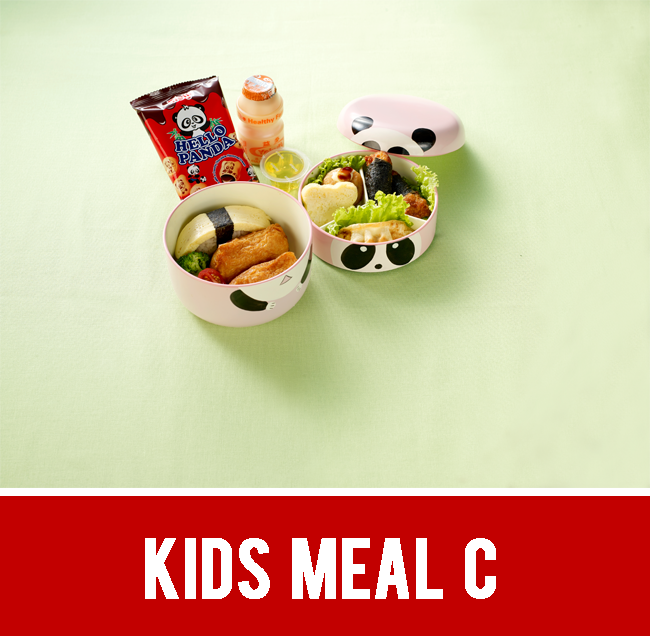 The veggies that were served in the bento were raw and having tried feeding Kaitlin raw veggies like cherry tomatoes and broccoli, she would usually not have it, but that day she ate it! I was so happy to see that, and I think it must be the attractive bento box that contributed to that. Kaitlin even got to enjoy jelly at the end to complete her meal. Besides the kid's menu, we got to try out some of Restaurant Hoshigaoka's signature dishes like the Mentai Potato Salad and Goma Beef Houba Yaki. I love potatoes, so almost anything potato I will love. The Mentai Potato Salad was good, but being a beef lover, I was definitely interested to try the Goma Beef Houba Yaki even more! This especially after hearing that 30 days Aged New Zealand Rib Eye Beef was used for this dish, and that it was being served on a magnolia "Houba" leaf. Was it good? Yes it was! In fact, I would totally return if I had a beef craving. I was happy to see how the beef was already sliced up which makes it super easy to eat especially given how tender the beef was. And for a parent..being able to easily eat your food is a bonus, especially when you've to keep one eye on your child! 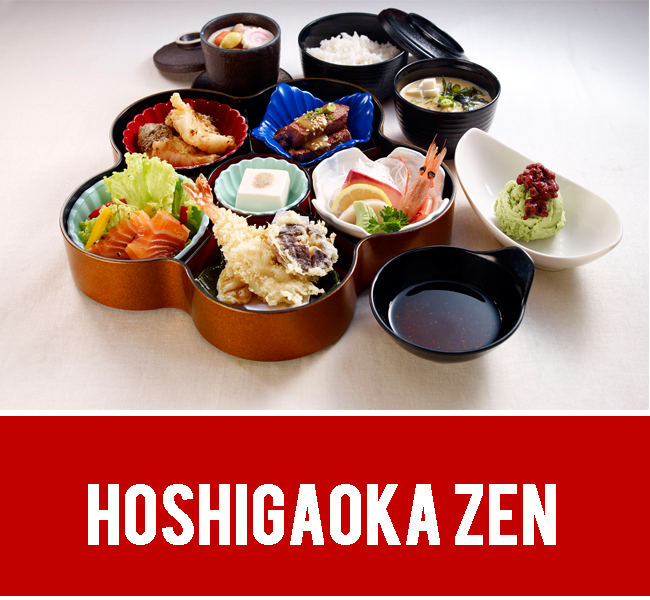 Aside from that, we also tried the Hoskigaoka Zen Set Meal. Doesn't this set meal just look so fancy! Best part is each little component had my favourite foods in it! There was an appetizer sashimi, and though I love scallops, I usually find that the scallop sashimi served at other Jap restaurants to have a very strong fishy taste, and I was pretty surprised that the sashimi served here didn't have that taste at all! 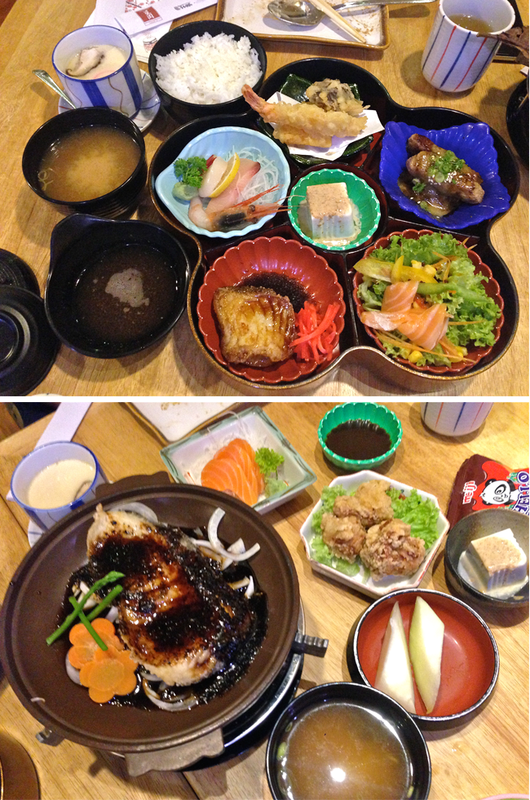 Besides that, there was also a salmon sashimi salad, cold tofu, tempura, beef misoyaki and gindara teriyaki. I really enjoyed how fresh the salmon sashimi was and found the beef misoyaki to be very tasty as well. Kaitlin enjoys fish, so I let Kaitlin have some of the gindara teriyaki and she ate it up pretty fast and wanted a little more after that. This set menu also comes with chawanmushi, rice, miso soup and matcha ice-cream. I really liked how this set had a good combination of everything. 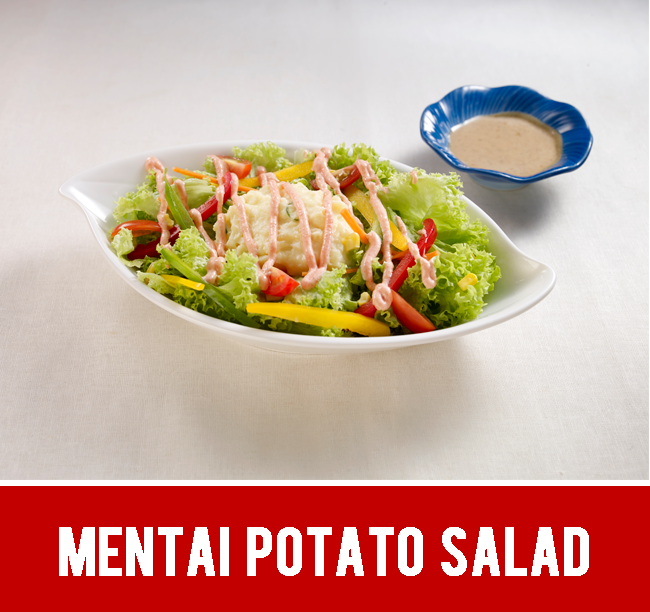 Perfect for those days when you are feeling greedy and just want to eat everything on the menu. 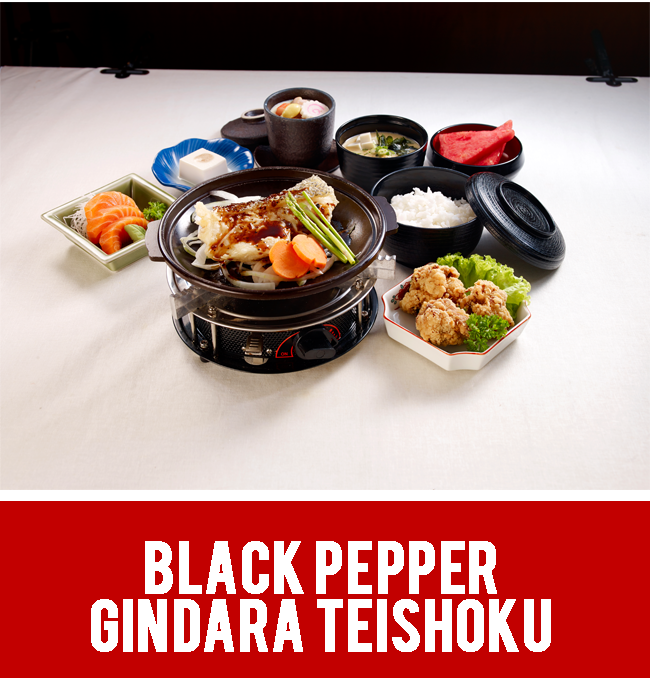 Another signature dish we tried was the Black Pepper Gindara Teishoku. This dish featured cod fish served with homemade black pepper sauce and vegetables. This set included salmon sashimi, cold tofu, chawanmushi, miso soup, crispy deep fried chicken and fruits. I enjoyed how soft the fish was and the black pepper sauce complemented it perfectly. The sauce wasn't overpowering which was great. Also, the deep friend chicken was really crispy even after sitting on the table for quite some time. I found out that the black pepper sauce and chicken was actually prepared at their central kitchen, which makes sense for the good quality of food served. Kaitlin and I definitely enjoyed our dining experience at Restaurant Hoshigaoka. 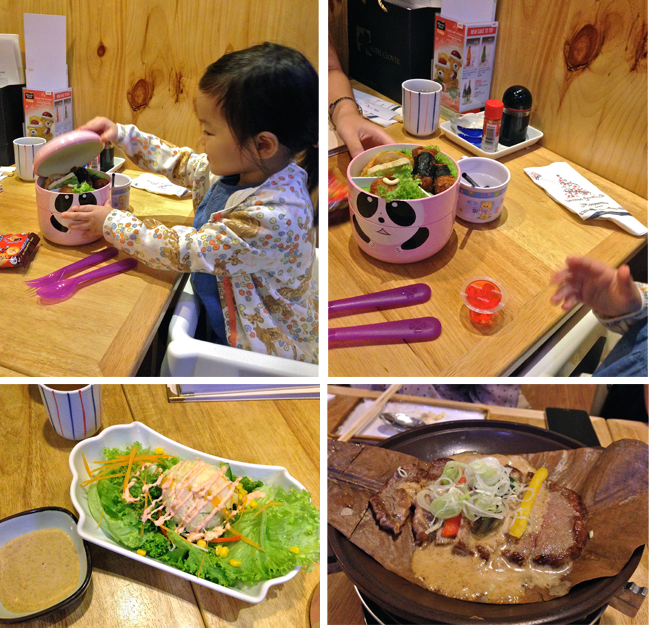 While Kaitlin mainly had the kiddy set to fill up her tummy, I've got to say that the food served was really of a better standard than most other Japanese restaurants out there. The bonus is that the prices are really reasonable too. I like how the restaurant is a family resturant as well, as it really gives the dining experience a homely feel, especially seeing other families dine there. As a mom of an active toddler, I definitely feel more comfortable dining at family restaurants cos well let's be honest, as parents we can totally understand why another kid is overly active or having a meltdown and our meal doesn't have to be ruined by a stinky eye staring at us. 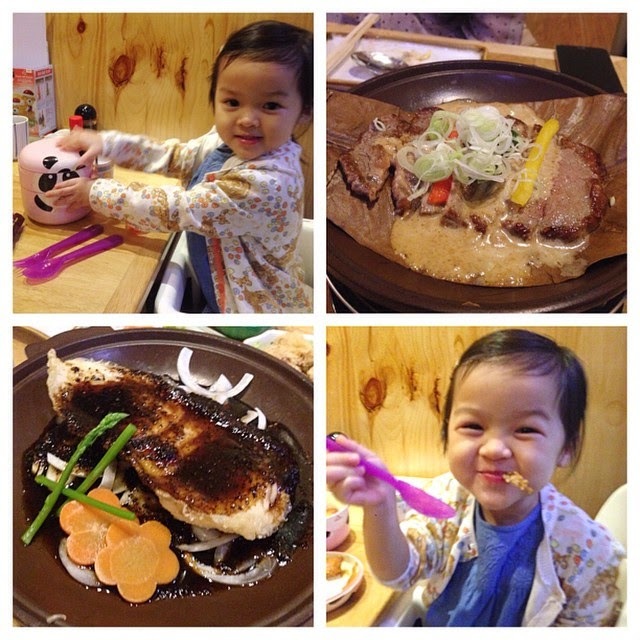 So that means..Restaurant Hoshigaoka, you've been added to our list of family dining places! Disclaimer: We were invited to Restaurant Hoshigaoka for a food tasting session. 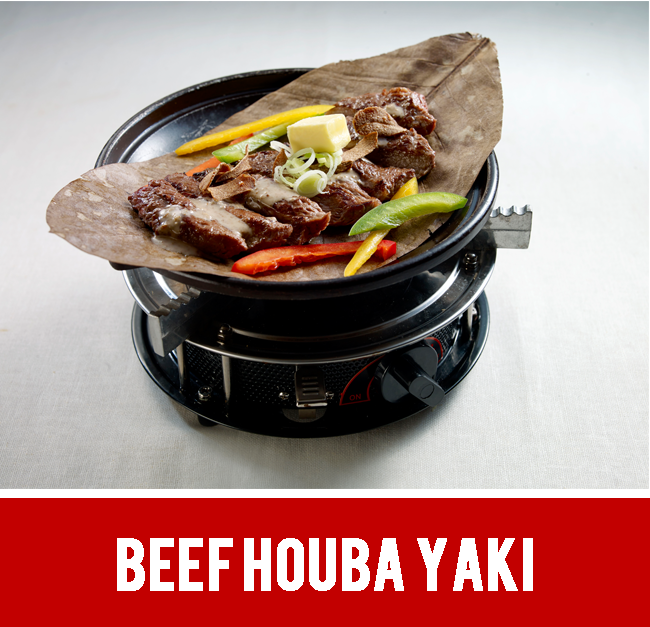 High resolution images are from Restaurant Hoshigaoka and Craft Communications. All opinions and views are my own and were not influenced by an external factors.